Cycling Injuries and Chiropractic treatment. In our Chiropractic clinics we see many types of injuries relating to cycling, from neck/shoulder and lower back to foot injuries. We mainly see injuries that relate to overuse rather than trauma, but that follows the normal trend in sports injuries particularly in long distance events. As more and more people participate and train for triathlons, we see an array of injuries in tri-athletes that would not normally be associated with cycling but affect their cycling. We therefore get asked more frequently about set-up of bikes and injury prevention in cycling and this is why we felt it was important to make this information available. We hope this page will give you an excellent insight in how to set up your bike to help to maximise your performance and to minimise the risk of injuries by means of improving your comfort and mechanical advantage. 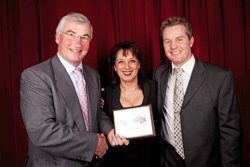 If you are a tri-athlete please also have a look at our pages on running and swimming. It might give you some further help to keep you in the saddle, on the road and in the pool. 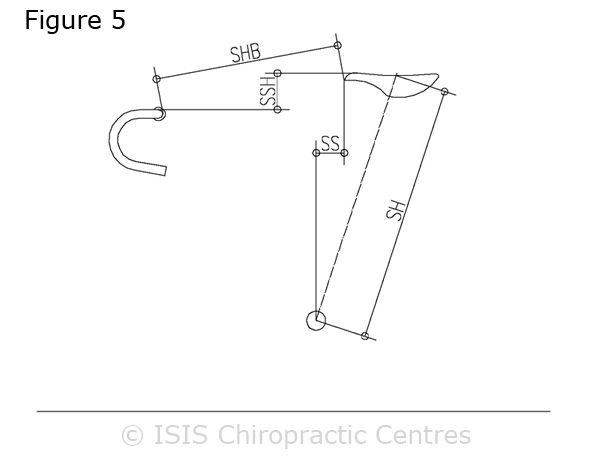 If you don't get an answer to your question please contact ISIS Chiropractic Centres here! The set-up of a bicycle is important no matter what type of cycling you do. Racing, mountain biking and touring cycling require different postures to gain maximum effect for the task. For the most part, this article is aimed at racing cyclists but, with understanding of the principles involved, modifications can be made to suit you and your activities. Your body is in contact with the bicycle at the pedals, saddle and handlebars. The joint of the big toe must be in-line with the axis of the pedal, the ischial bones (bum bones) of the pelvis must be towards the back of the saddle and the hands should be placed on the handlebars or brake-lever hoods. To get all these areas working in harmony with the bicycle is going to require a certain level of compromise. That is, if you are a racing cyclist you should lean low with the torso so as to reduce drag and increase aerodynamic efficiency, but may be at the cost of comfort especially across the shoulders and neck. The touring cyclist will want to sit more upright for comfort but, will lose power from the gluteal muscles (bum muscles) as well as have reduced aerodynamics. It’s all give and take depending on your reason for cycling. There is some terminology that you will need to know to get your way around your bicycle and your own anatomy. In this explanation we have used the definitions as follows. 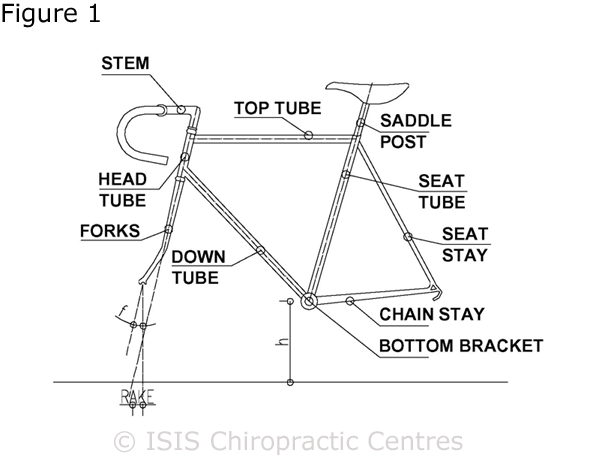 Figure 1 relates to the naming of certain bicycle parts: top tube, down tube, seat tube, head tube, bottom bracket, seat stays, chain stays, fork blades, handlebar stem, saddle post. The tubes and the stays can be made to bespoke dimensions, but further adjustments are easily made with the saddle post, handlebar stem and even crank lengths. The terminology for your anatomy is as follows: The thighs are the tops of the legs from the hips to the knees and noted by the letter “T”. The legs are from the knees to the ankles “L”. The arm begins at the shoulder and ends at the wrist “A”. The forearm starts at the elbow and end at the wrist “F”. Alright! Let’s get into the finer details of you and your bicycle fitting together. Looking at the diagrams below you can see how to go about measuring yourself first. Wear your cycling shorts and have socks on. Height: all this dimension does is give a very rough indication of what size bicycle you need, but you need much more detailed information for correct bicycle set-up. Inseam “I”: this is the most important dimension of all. This is the inside leg measurement while having your feet about 10cm apart. Measure from the top of the inside of the thigh, keeping the tape measure against your leg to the floor. 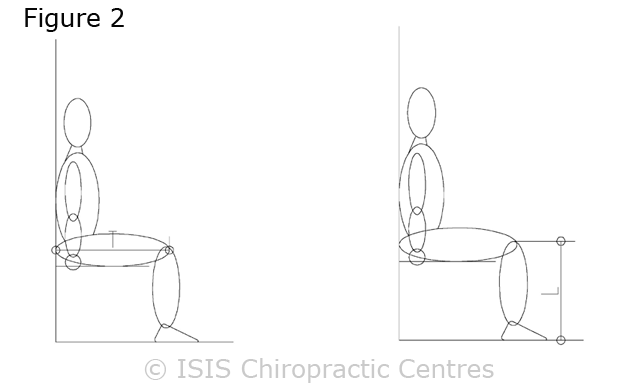 Thigh “T”: (Figure 2) sit on a stool with your back straight so that your pelvis is pushed flat against the wall. Legs “L” must be vertical. Use a flat straight object (ruler) against the kneecaps to measure from to the wall to get “T”. 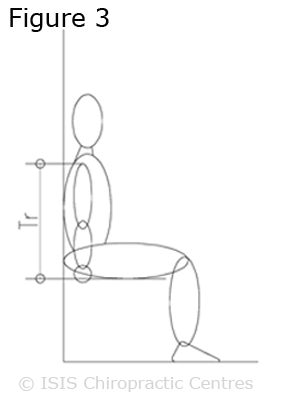 Legs “L”: (Figure 2) same position as for “T”, place ruler on top of knees, measure to the floor. 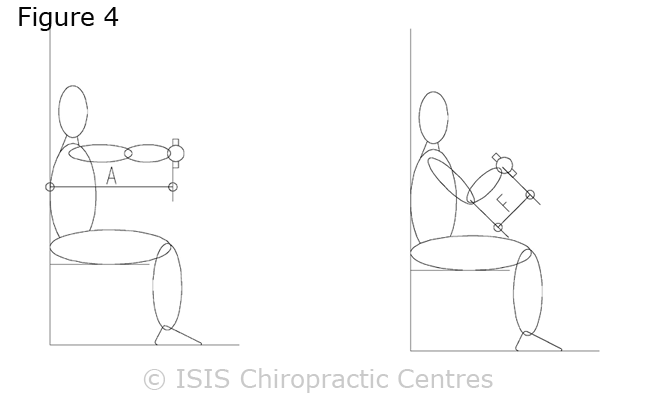 Trunk “Tr”: (Figure 3) same position as for “T” and pressing shoulders gently against wall, place ruler on top of shoulder next to the bump of the collarbone (acromioclavicular joint), measure to the top of the stool. Arm “A”: (Figure 4) maintain position as in “T”; hold onto a cylinder the same diameter as your bicycle’s handlebars. Arm is horizontal. Measure from wall to nearest edge of cylinder. Forearm “F”: (Figure 4) upper arm is at 45 degrees and elbow bent at 90 degrees. Cylinder perpendicular to forearm. Measure from elbow to nearest edge of cylinder. Saddle height (SH): (Figure 5) measure from the centre of the bottom bracket to the top of the saddle. The top of the saddle is determined by placing a ruler across the length of the saddle and measuring parallel to the seat tube to the ruler’s edge. Saddle setback (SS): find the vertical from the centre of the bottom bracket and mark this on the top tube. A carpenter’s square can be used on the top tube to the tip of the saddle to measure SS. Saddle-handlebar distance (SHB): a yardstick is handy here! Measure from the tip of the saddle to the trailing edge of the handlebar tube. This line is not horizontal but, the dimensions will be accurate enough. Saddle-stem height (SSH): measured as the difference between the top of the stem and top of the saddle relative to the top tube. Now it is time to put it all together. The saddle must be adjusted first. This includes the saddle height (SH) and saddle setback (SS). The saddle height is calculated by multiplying your inseam “I” by 0.885.
ie. SH = “I” x 0.885. NB: If you have a saddle height that is lower than calculated here, you must gradually raise the height by millimetres over several months to allow your body to adapt. This is especially true if you train regularly as your muscles and their tendons will need the time to get accustomed to the new angles across your hips, knees and ankles. 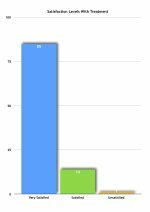 The remaining measurements are not absolutes and are tabulated below. Saddle setback (SS) is considered second in importance but does influence SH. For the most part your saddle may feel too far back with these measurements. However, it is easier to pedal “at the back” than “at the front” of the pedals. This is because it is easier to push your foot forwards at the top of the pedal stroke, the so-called dead spot. Your powerful thigh muscles, the quadriceps, will do a better job straightening your legs with the downward power stroke by pushing with the feet. Also, it is easier to pull the pedals from the bottom of the power stroke at the second dead spot. Saddle handlebar distance (SHB) is the next to be measured. The longer your trunk, arms and forearms, the more you can increase the distance between the saddle and the bars. Bigger adjustments can be made here without detrimental effects as is the case with SH. As the SH and SS may be higher and further back than you’re accustomed to, you will have better aerodynamic efficiency with leaning lower to the handlebars while having good stability of the pelvis. Saddle-stem height (SSH) is determined by what feels right for you. Modern cycling techniques over the years have shown that even 10cm for this measurement is not uncommon. After all the measuring and setting-up, the most important factor is feel . Saddle height is paramount and must be adhered to as closely as possible. However, no matter what the numbers say, if you feel that one of the measuring criteria is not quite suited to YOU, then, go with what feels correct. There is art as well as science in the technique. In fact, not dissimilar to being a chiropractor! Good Luck!